After the 64-bit (x64) Windows 7 Build 7048 has been leaked, the 32-bit (x86) version of Windows 7 Build 7048 has also been leaked to Internet for free public download via BitTorrent network. Unlike 64bit Windows 7 Build 7048 that is just a complete extraction of installation files from the original DVD ISO image, the 32bit Windows 7 Build 7048 is an actual DVD ISO image itself, making it easier from user who wants to install Windows 7 from scratch or to install clean and fresh operating system by booting up PC with the DVD. x86 Windows 7 Build 7048 has the same build tag info with x64, that’s 7048-0-090219-1845. The Windows 7 Build 7048 ‘may be’ the release candidate (RC) for Windows 7, although some sources have claimed that Microsoft has compiled higher builds of Windows 7, as high as Windows 7 Build 7051 and even 7056. Anyway, build 7048 should already belongs to RC branch in Windows 7 development. 64-bit Windows 7 Build 7048 is available too. The Windows 7 Build 7048 x86 DVD ISO has the following editions available: Home Basic, Home Premium, Professional, Starter and Ultimate, all of which is belonged to retail channel. User can use the DVD to boot up a computer in order to start the installation, or for users who have installed previous versions of Windows operating system, such as Windows 7 Beta Build 7000 or Windows 7 Build 7022, it’s possible to mount or extract the ISO image, and the perform in-place upgrade by running setup.exe, on both X64 or X86 CPU architecture. 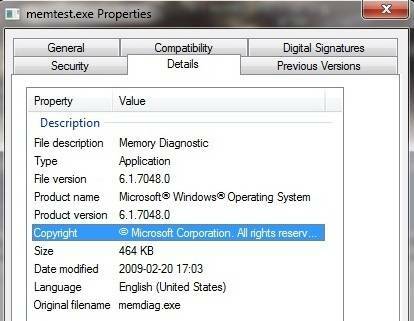 User can still use the free Windows 7 product key given by Microsoft for beta testing to activate system installed with Windows 7 Build 7048. Check out also what changes that Windows 7 RC has made since beta.